FK chats with the friendly duo minnette vs. corey a Adelaide based jewellery label with a twist. Who will also be debuting at the Brisbane Finders Keepers! Tell us a bit about minnette vs. corey and what products we can expect to discover? 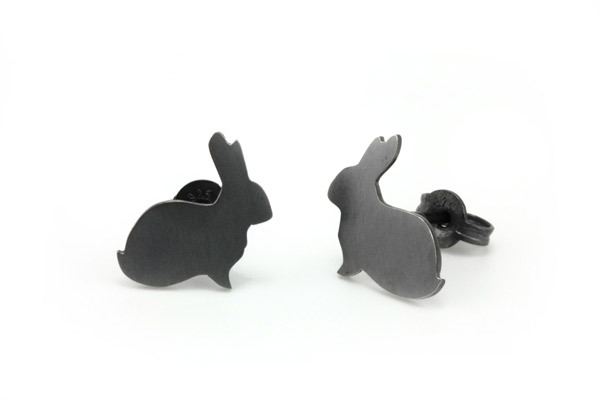 minnette vs corey is a jewellery design label created in the spirit of friendly rivalry. 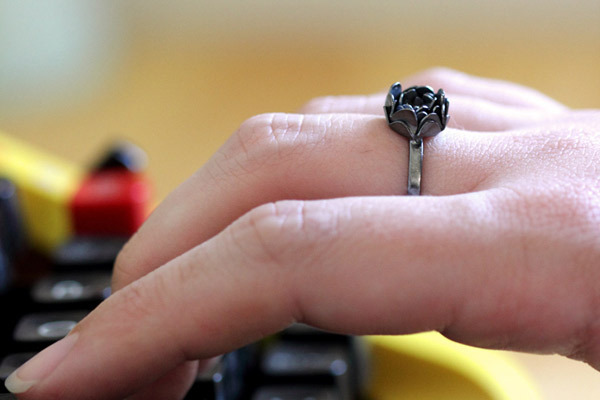 Our jewellery designs can be described as cute, a little bit chic and clever. The whole range is handmade by us in our studios, using sterling silver. Having two separate designers means our work has two distinct styles but we find inspiration from some similar everyday things like flowers, birds, food and objects. 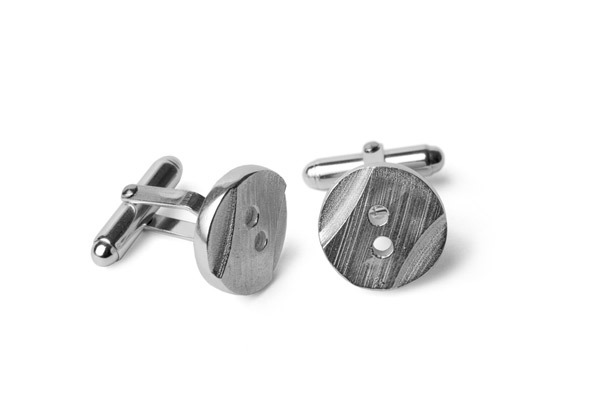 Our diverse range includes earrings, pendants, rings and cufflinks. But what makes our product really special is that people’s experiences are not restricted to purchasing and wearing the jewellery. Rather each person is invited to participate as the judge of our ‘Jewellery Bouts’, where a challenge is set for us to compete to design and make the best piece. The public is then able to view each design online, comment and vote for his or her favourite. In turn creating a fun, longer lasting and interactive experience between us and you, as well as enabling everyone to have an influence on the future designs made by Minnette and Corey. Minnette: I graduated from my studies in jewellery in 2007 and I started my jewellery label Minnette. It’s a range of handmade resin and sterling silver jewellery. The range is a bit fun, very colourful and affordable. In late 2010 Corey asked me to show him some basic jewellery making techniques so I did and then I left him alone with some tools and a piece of brass. A couple of hours later he came back to me with a sparrow pendant. I was amazed! “People would buy this pendant!” So Corey started selling them in one of the shops that also stocked my designs. It became a bit of a competition to see who could sell the most jewellery at that shop each month. This competition grew into what is now minnette vs. corey, a label that allows us to pursue our own designs while maintaining a level of competition that inspires us. Which other jewellery labels do you love? And what inspires you? 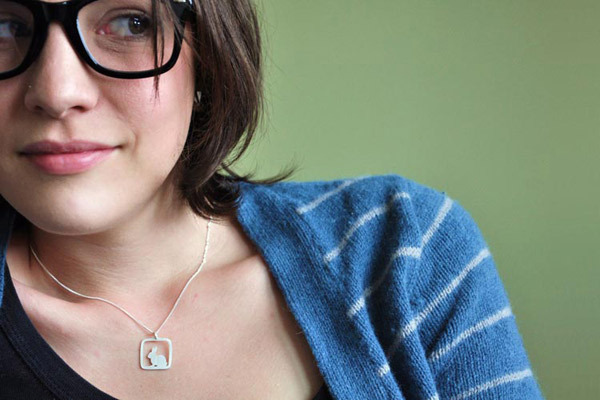 Minnette: I love Katrina Freene’s vintage tea tray jewellery, I have a growing collection of her work. 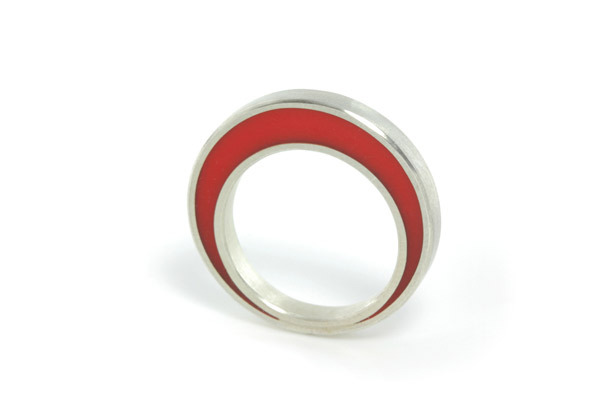 I also love Megan Perkins enamelled jewels. Rebecca Bird from Tweet Designs also makes amazing work and we are lucky enough to be sharing our stall with her at the upcoming Brisbane market. I am inspired by the everyday, my everyday… cooking/baking, craft projects, books, I guess you could call it ‘the domestic’. Corey: I design jewellery as a boyfriend/partner/husband. What I would be looking for to give the special someone in my life as a gift for her birthday, Valentines Day, a just because day or to smooth things over. Minnette: I am currently an ‘associate’ in the Metal Studio at JamFactory in Adelaide. 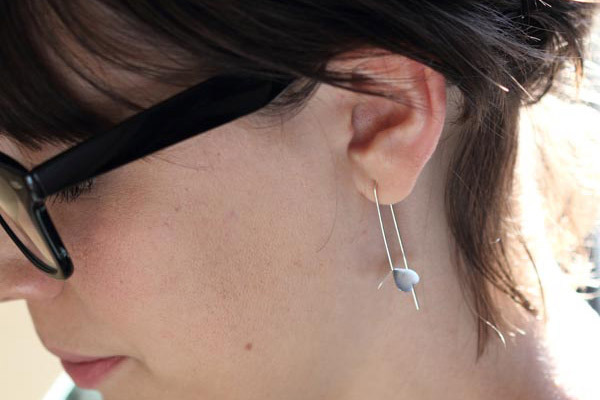 The studio is a metal workshop that I share with 6 other very talented jewellers. The JamFactory also has studios and workshops for ceramics, furniture and glass. The most inspiring thing about the JamFactory is the amazing people that fill the building, designers and makers that are a constant source of knowledge, feedback and friendship. Corey: I currently work from our home studio (a corner of the living room) on quite possibly the heaviest desk in the world. It’s not the most glamorous space but it has music and excellent access to the kitchen. Other than these two essentials just being in a space where I am free to create is inspiration enough. What do you love about working with silver? And what are some of the challenges? 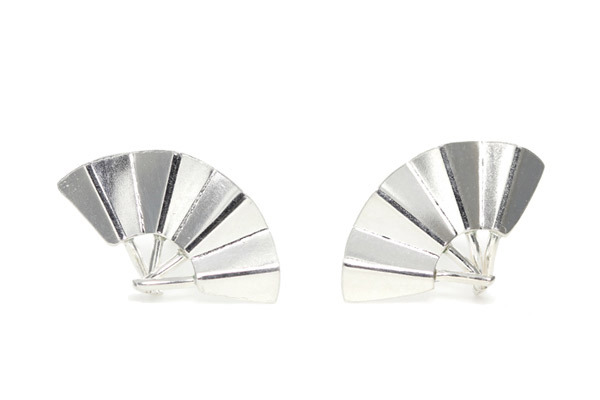 We are fans of sterling silver because it’s the metal that’s just right. It has a great natural colour that can be finished to create a polished, matt, brushed or oxidised effect. It also pairs well with other materials such as resin and brass. And it can do all this without turning people’s skin blue or green. As much as we love working with silver we find that there are two major challenges. 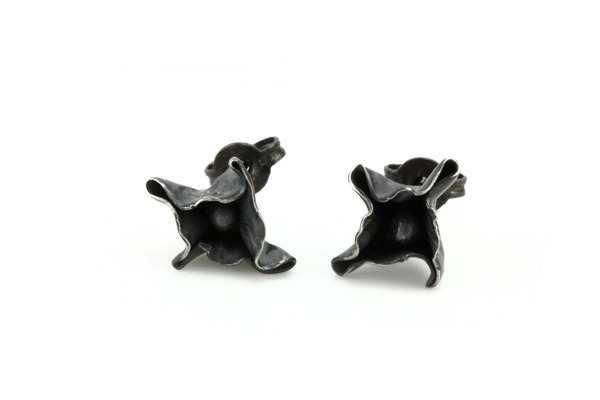 One, silver is a relatively soft metal so you’re always one squeeze away from leaving a big dent in your lovely piece. Two, because of the range of finishes available, you can easily find yourself spending three hours staring at a surface deciding whether you prefer a brushed or polished finish. What can we expect to see from minnette vs. corey at the upcoming Brisbane Markets? The upcoming market will be the first time we’ve taken our work to Brisbane and our first Finders Keepers market, we’re so excited we’ll be bringing our entire range! This includes sterling silver earrings, rings, pendants and cufflinks that are all handmade by us!